As a manufacturer, customers rely on the outward appearance of to your product to make the buying decision. The placement and neatness of the label and product presentation are used to gauge whether the product will live up to their expectations. Sloppy labels placed poorly will make your products get Ignored on the store shelves, even when they are more affordable than other similar products. The answer to this problem is quite simple; Invest in high-quality labelling machine. According to reliable business reports, there is an emerging trend in packaging that is affecting the market outlook of packaging material from 2017 – 2021. The innovation towards lightweight packaging material that is sustainable and environmentally friendly. Current labellers are designed to address these emerging trends in market requirements. To address product variability, engineering companies have developed labellers that have different capabilities and that address different types of packages. The top labeller machine is designed to automatically apply pressure sensitive labels on to the top or bottom of containers. The equipment is high in accuracy and can apply up to 150 pieces per minute. 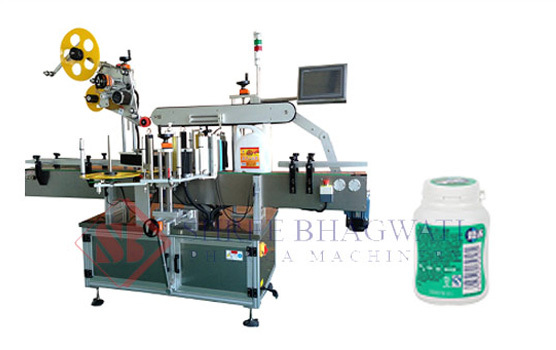 This model of bottle labellers from Bhagwati pharma contain a set of automatic controls including a liquid crystal display system that takes control of the equipment easy and user-friendly. Product material flexibility is when the machine is able to handle product made from different materials such as plastic, metals, glass, rubber, wood, ceramic, paper products and other types of materials. 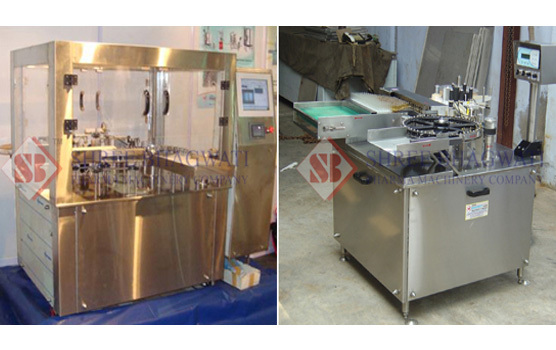 The Linear labeller machines such as the 1 line labeller and the 2 line labeller as also advanced models of labelling machines, mainly used for products such as mineral water packaging, detergents and beverages in the food industry. They are also good labellers for the cosmetic industry and useful labellers for the oil industry. There is a direct application of the label onto a passing container on a conveyor belt and a smoothing belt after the label applicator, which ensures good label placement and smooth appearance. This equipment can be used for various purposes on cartons such as the application of barcodes, hologram, batch codes, brand name and logo and many other types of labels. 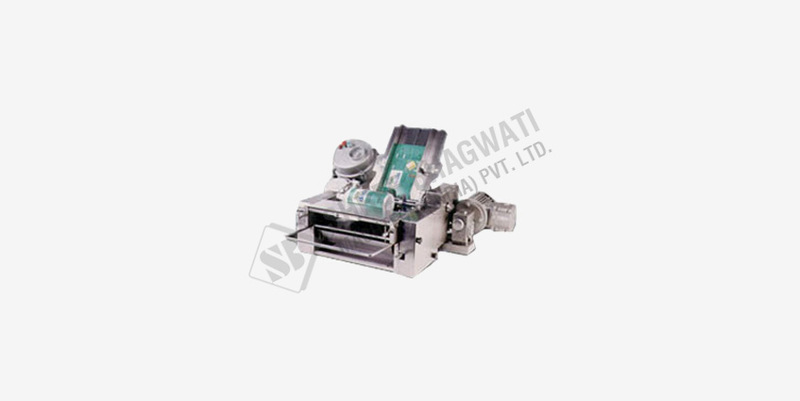 The equipment can also be used in various carton sizes as well as packing lines. 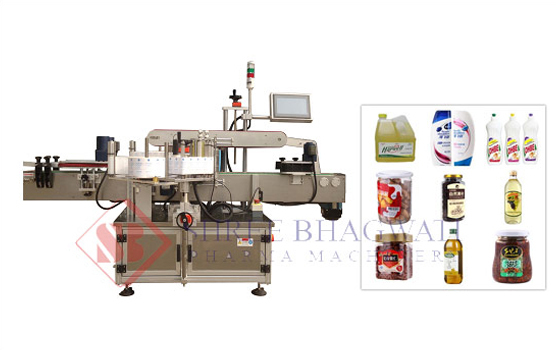 This is an advanced label applicator machine also used in carton labelling that applies the front and back labels in a continuous process. The machine is fully automated with high levels of accuracy in placement and good output to ensure high productivity and reliability. It can also be used on different carton sizes and shapes. The semi-automatic labeller is suitable for low volume labelling demands requiring a precise and consistent application from a much smaller footprint. It may be desk mounted or stand-alone system and applies labels onto flat or rounded packages.